This is my last blog post for a while, so I’d thought I’d end it with a blog post to say that I’m looking forward to WordCamp London in a couple of weeks! This is my first WordCamp of the year, and one I am speaking at! I’m speaking on “Top Tools for WordPress SEO (To Use As Well As Yoast’s Stuff)” on the first day at 4:10pm in Room 2. You can see the full schedule here. I’m looking forward to meet a lot of new faces amongst the familiar faces. I’m specifically interested in speaking to anybody who is interested in the following things. Anybody who would be interested in taking over Easy Digital Downloads – Taxamo integration(read why I am giving it up here). 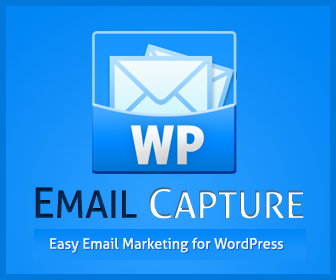 Any WordPress bloggers who would be interested in helping promote WP Email Capture. Any Vloggers & Podcasters. I would love to pick your brains on a couple of podcasters. Anyway, I cannot wait to attend in a few weeks, and if you are going, I’d love it if you would attend my talk. If you’re not yet attending, I’d recommend you do so. WordCamp London was one of the best conferences I went to last year. At the time of writing there are still some tickets here. Click here to get tickets. « WP Flipclock 1.7 Released!